A Diamond Select Release! Sculpted by Jean St. Jean! The Femme Fatales figure series continues wi.. 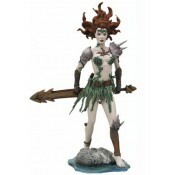 The Femme Fatales figure series continues with something that could only come from the minds of D..